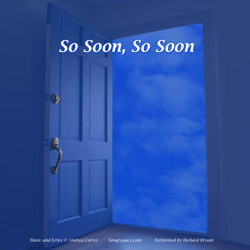 Personalized lyrics can be written for this music composed by Andrea Carter (see below for price). 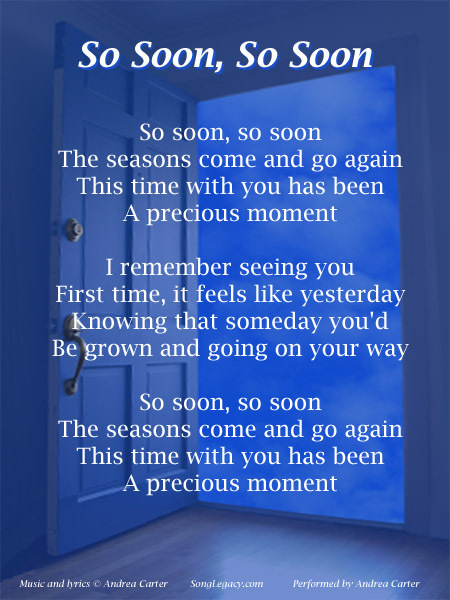 The song is also available for purchase as a mother-son processional or mother-son dance song with the lyrics that appear below. The purchase price of $9.99 includes a download of the music MP3 file, in addition to high quality pdf lyric sheet and CD cover images. Learn more about the Mother-Son Processional song MP3 download. To choose this music for your own personalized song, please request song AC020.